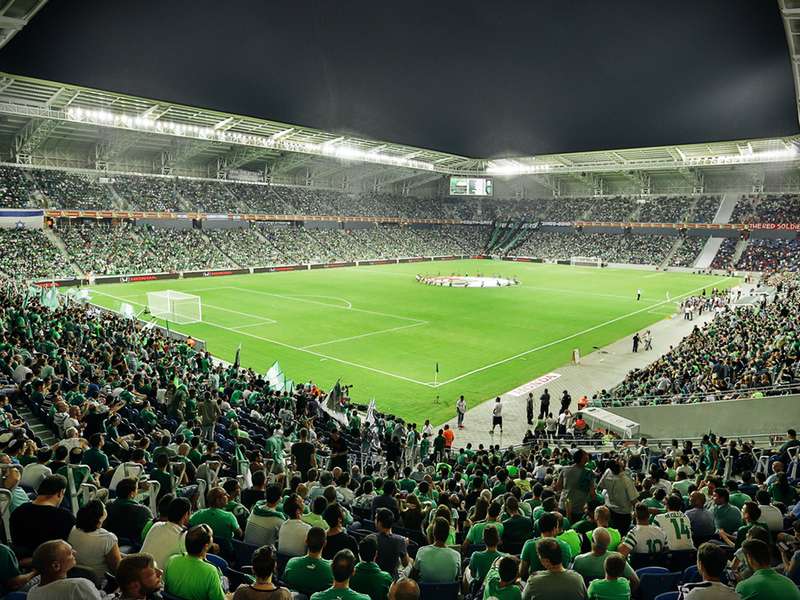 "Sammy Ofer" stadium, Israel's most modern and innovative football stadium, was built to the highest standards and meets all stringent requirements in all international competitions. 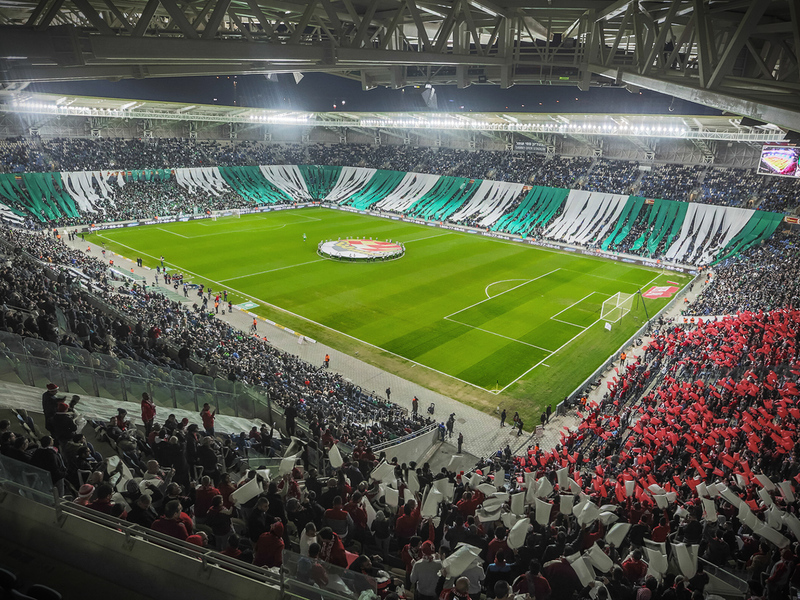 The stadium meets UEFA Standard 4 and can host matches in all European competitions. The stadium was designed by the architectural firm KSS Architects of London and Israeli "Mansfield Kahat" architectural firm. The stadium was opened during 2014-2015 game season. 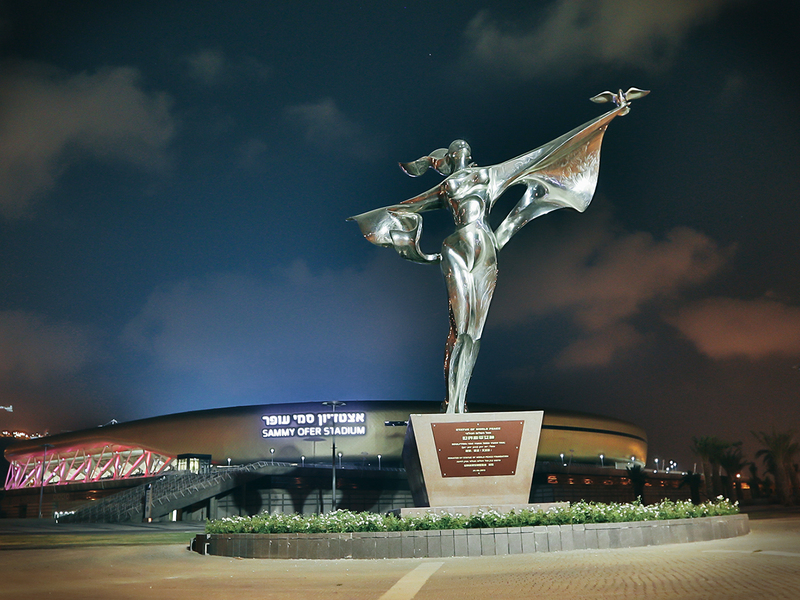 The stadium was built at a cost of 500 million NIS and it includes many spaces on an overall area of 60,000 square meters approximately. Seater capacity is 30,696 seats, with over 80 entrances and exists to and from the various sections. The seats are fully roofed and the stadium is equipped with modern means of technology such as: A state-of-the-art public address system, two giant 72 square-meter each LED screens and 250 CCTV cameras, used by the advanced control room. Hundreds of toilets, as well as 20 food stands designed to serve the stadium's visiting public. included assuring that the viewing angle from each and every one of the seats would be optimal, so that even a supporter sitting in the last row on the upper level will feel close to the pitch its events. Most of the rooms and facilities in the stadium, scattered across the 6 floors of the stadium, are situated at the western part of "Sammy Ofer".